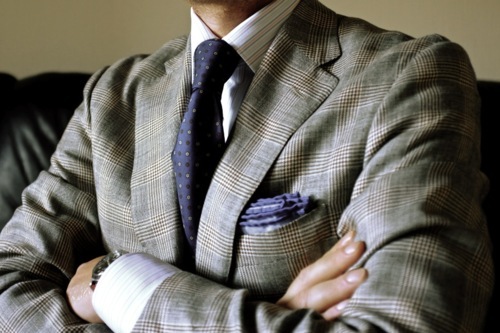 One Guy's Style Blog | One Guy's thoughts on style and living as a guy. I enjoy looking at old family photos. Both of my grandfathers, in their own ways, liked clothes. My father’s father can always be seen in a suit and tie. The suits were always perfectly cut (he had all of his suits made for him, although that was a lot more standard at that time), the ties perfectly tied, always with a dapper hat and clean shaven. My mother’s father was a military man; more casual but also effortlessly cool in his own way. Some of my favourite photos of him were taken during his tour in the Navy during World War 2. Smoking a cigarette in heavy dungarees, grinning at the camera on the deck of a minesweeper in the middle of the Atlantic. One thing that immediately jumped out to me is the look and fit of the clothing – it appears heavy, well made…. almost indestructible. 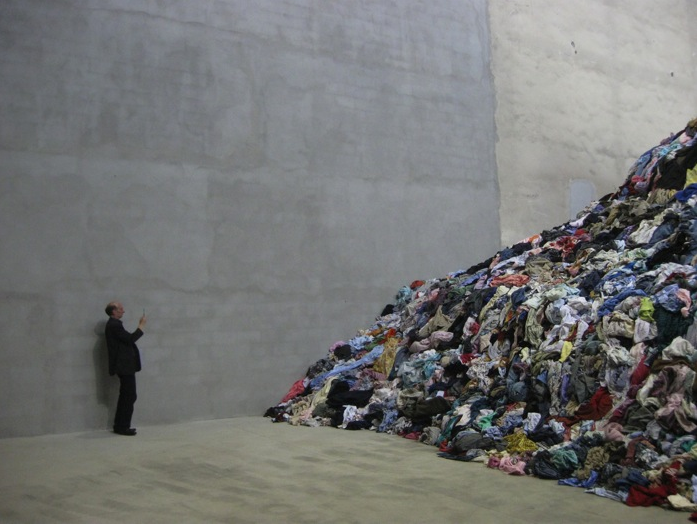 In today’s Ikea and H&M society, our clothing tends to be disposable, temporary and forgettable. Apparently, I’m not the only one who looked at old photographs and had this thought – Nigel Cabourn, after being Paul Smith’s right-hand, decided that the world needed this type of clothing once again. 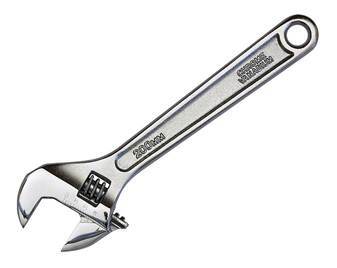 Sturdy, epically well-manufactured via classic methods and yet, at the same time, modern. Inspiration has come primarily from vintage military uniforms and Cabourn’s passion for (and private collection of) vintage men’s clothing. The fabric used are some of the best in the world – heavy tweeds, incredible jersey cottons from Germany, all of which feel hermetically sealed from another time. Cabourn’s clothing looks and feels almost like it came out, perfectly preserved, from an archaeological dig of early 20th Century menswear. 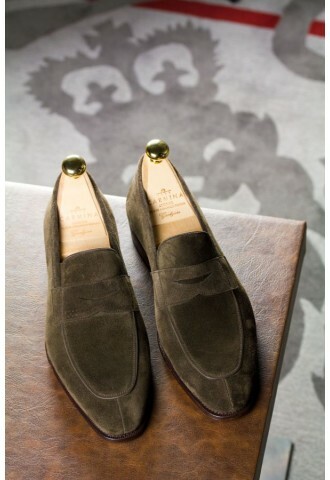 Stylistically, they resemble a cross between what Steve McQueen would’ve worn on the weekend and what a member of the royal family would wear for a casual walk around their palace in the Scottish highlands. Best known for his coats, most notably the Cameraman and Airman, I’m even more partial to some of the shirts he makes. 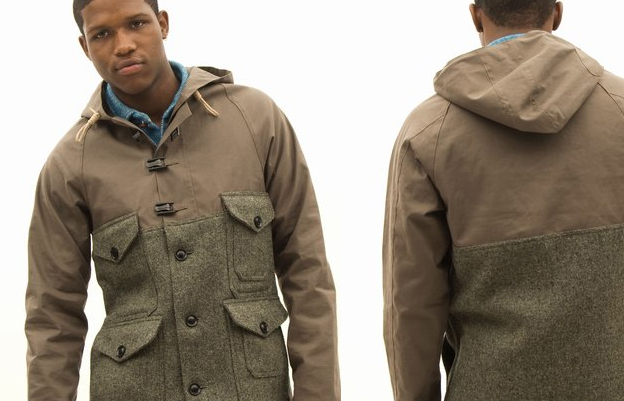 From the heavy, “new old stock” buttons, the reinforced seams and luxurious fabric, it is apparent from even the shortest of glances the thought and attention to detail that goes into each Cabourn piece. 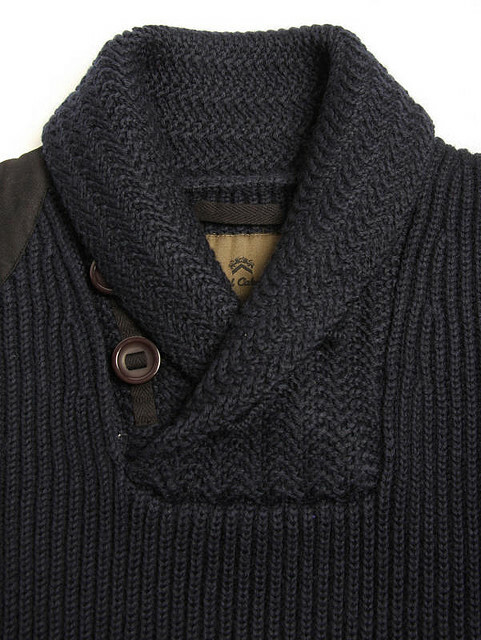 Pick up the sweater pictured below, feel its five pound weight and you’ll walk away a believer. 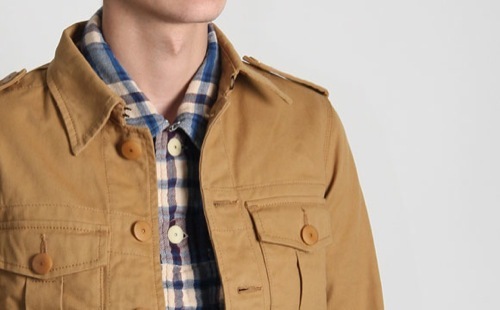 If you’d like more information on the brand, or to see this season’s items, check out www.cabourn.com. One important note: there is another line called “Cabourn Utility” that is available but isn’t made to nearly the same standard. 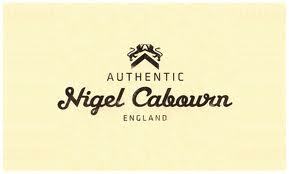 I would steer clear and hold out for some “Authentic” Nigel Cabourn. “They don’t make ’em like they used to” is an oft heard refrain due to the deteriorating quality and temporary nature of just about everything. 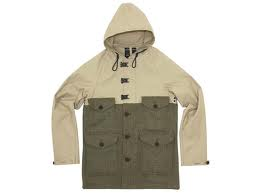 I hope Nigel Cabourn never gets the memo. I like nice things. I also, at least try, to hold onto my familial frugality. Buying something at full price has always been difficult for me – hence the full blown eBay addiction that occasionally rears its ugly head. However, as much as I love the ‘Bay, it has one tremendous downside: the inability to physically see, touch and try-on what you’re purchasing. Which brings me to the almighty Outlet Mall, the focus of this post. Outlet malls (can sometimes) provide the bargains found on eBay and they also do not share eBay’s flaws noted above. However, they have their own set of issues, which will be explored further below. eBay is great in that it has an incredible selection of rare items AND it allows you browse these items while drinking a glass of wine in a bathrobe at home. While some of the people you see at the typical outlet mall are only a half step removed from this, I would not recommend trying to mimic this experience. If you want to visit your local outlet mall (if you have one), you will need to pry yourself off the couch to experience the joys (or, more often, horrors) that are part and parcel to such an expedition. As someone who has been to many outlet malls on many occasions and has lived to tell the tale, please find some suggestions below that I hope will make your experience as good as digging through mountains of unsold goods in a crowd of people possibly can be. Almost daily, we hear the common refrain to “be specific”. 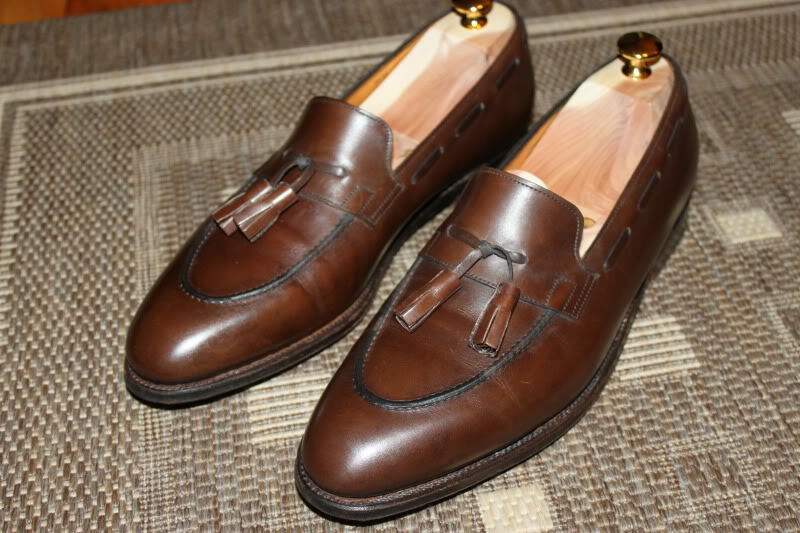 However, if you are looking for an oxblood suede belt with silver buckle, or a specific model of Tod’s loafers, or even just a “bathrobe”, and that is the primary purpose of your shopping expedition, than I would suggest not going to an outlet mall. Outlet malls are places where you find things you aren’t looking for, but don’t find things that you are. In other words, specificity is not the forte of outlet malls. From a time-cost persepective, you will spend eons of time trying to find that specific item you’re looking for. Generally speaking, it’s not worth the time or trouble, particularly since outlet malls tend to be in the middle of nowhere. Go to your preferred local store and spend a few extra dinero, or, easier still, troll eBay or Amazon.com in the comfort of your own home rather than sacrificing your day scouring sale bins at a distant outlet mall when your chances of success approximate the odds of the Cubs winning the World Series in the next twenty years (not out of the question, but history says that it’s highly unlikely). 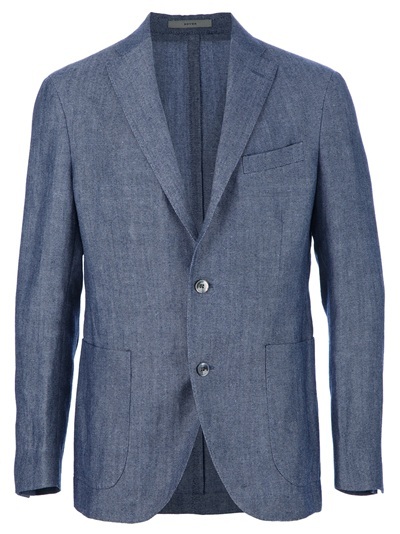 Walk into Harry Rosen, Bergdorf Goodman, Canali, Louis Boston, etc., and say that you would like a medium grey suit with pale blue pinstripes and they will likely have an array for you to choose from. 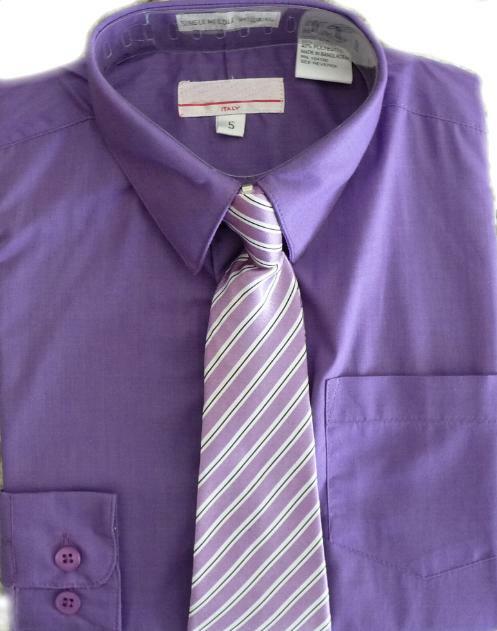 Same with the perfect yellow tie that you’re after, or the pair of brown boots you want for Fridays and the weekend. It will be an easy, comfortable shopping experience (at least it should be). When you reach the cashier with your purchases, you’ll see why: you pay for service and the ease and comfort described above. Someone else is curating for you; sifting through the litany of options and providing you with precisely what you’re looking for with you barely having to lift a finger. Outlet stores more closely resemble the following scenario: a dump truck pulls into the back of a warehouse and dumps a massive pile of loosely sorted apparel onto the floor for you to sift through with a crowd of fellow misers. Much like Andy Dufresne, you will crawl through a pile of foulness to find the diamond in the rough. This is part of the reason why they can offer goods so cheaply; they have stripped away much of the cost associated with good customer service. I’ve made peace with this trade-off – just be prepared to spend quite a bit more time (and incur a substantially larger headache) per purchase than you normally would. Furthermore, outlet malls bring clothes that would otherwise be out of your sphere of availability into that sphere of availability, which is the reason why it may be worth the trip. That, plain and simple, is the value of outlet malls. Further to “2” above, I have found the most success (and the best deals) when I’ve focused on items that I couldn’t otherwise afford, but have been made affordable at the outlet. I cannot afford a $3,000 suit; however, a $3K suit marked down to $700? That’s what you’d pay at SuitSupply or other mid-priced establishments. In other words, you are getting a far nicer suit at a price that comfortably fits within your budget. The best way to find deals at an outlet store is to be familiar with lesser known brands that make high quality items. In other words, where everyone else “zigs”, you need to “zag” to find the best deals. Here is a “cheat sheet” of brands I’ve seen in outlets which are not as well known to the casual consumer as Banana Republic, Hugo Boss, Burberry, Prada and the like, and often are deeply discounted because of it (if you’d like to learn more about the brand, click on the name as each is link to the respective brand’s homepage): Loro Piana, Pal Zileri, Vince, Belstaff, James Perse, Grenson, Sundek, Rag & Bone, Billy Reid, Smythson, Aspesi, Charvet, Oxxford, Battistoni, Brunello Cucinelli, Turnbull & Asser, Samuelsohn, Drake’s, Nudie, Balenciaga, Mabitex, Incotex, Naked & Famous, WANT Les Essentials de la Vie, Jack Spade, Barbour, Martin Dingman and Kiton. In other cases, many customers are unaware that a specfic brand has a variety of quality levels, leaving extremely expensive items available at deeply discounted prices. Ralph Lauren Purple Label, Ralph Lauren Black Label, RЯL, Ermenegildo Zegna ’15 mil mil 15′, Salvatore Ferragamo Tramezza, Calvin Klein Collection, Gant by Michael Bastian, Gant Rugger, etc., can provide, as many do not realize, a much higher quality level than a brand’s standard fare. While many of you will be aware of some, or even the majority of the names found above, keep in mind that many are not. 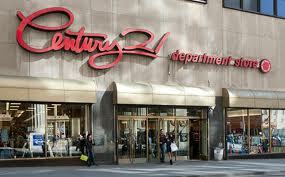 Furthermore, many that are do not frequent outlet malls. This makes the Venn Diagram’s centre very small indeed. First, it must be said that many outlet malls are not even worth bothering with. Sadly, my native country of Canada has embraced the concept of the outlet mall in much the same way as Americans have embraced the sport of curling: half-hearted at best. 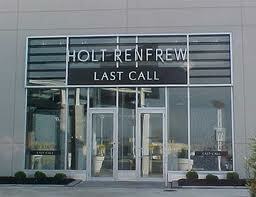 In Canada there are really two places worth visiting: Holt Renfrew Last Call (which, I believe, is only in Toronto now), and Harry Rosen Outlet (again, only in Toronto). Basically, if you’re not in Toronto, you’re probably out of luck, at least locally. If, however, you reside in, or near the United States, there are a number of great outlet malls potentially close by. This is particularly the case if you live in an area frequented by tourists: New York, Los Angeles, Miami/Fort Lauderdale, Niagara Falls, San Diego, Las Vegas or Phoenix. 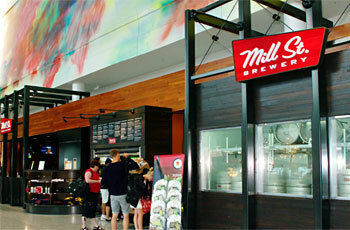 Therefore, the first decision to make is whether it’s even worth driving out to the nearby outlet mall. In many cases, it may not be worth it at all. I’ve found the majority of my best deals at department store outlets. Barney’s New York, Century 21, Niemen Marcus Last Call, Holt Renfrew Last Call (apparently there is a shortage of outlet store names, as somehow two share the same one) and Saks Off 5th tend to be some of the best. Unfortunately, like every other store at the outlet mall, the value of these stores has been decreasing. Formerly, they were the exlusive domain of unsold merchandise from their regular stores; however, lately they have begun to sell “outlet store merchandise” – clothing manufactured expressly for outlets (usually, they are named after the store itself, eg. Saks Fifth Avenue Green). Nonetheless, these stores are still the cream of the outlet crop in terms of bargains, as there remains loads of items that went unsold at retail locaitons, providing some excellent access to nice things at good prices. 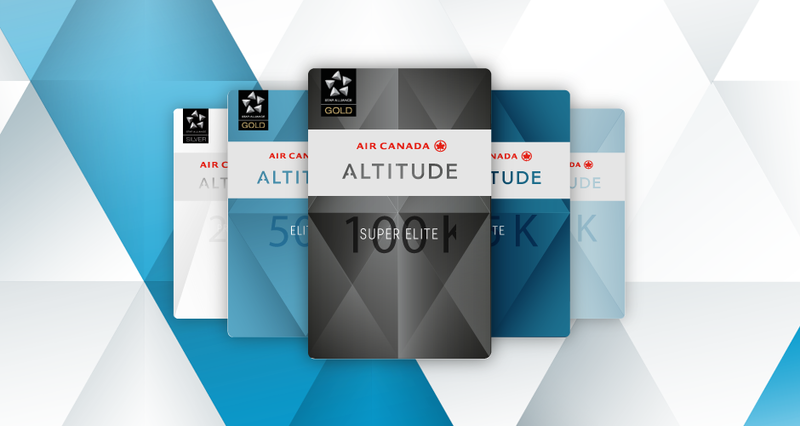 In addition, some of these stores, offer customer loyalty programs that provide even deeper discounts on items if you show the card associated with the program, or offer discounts if you sign up for a credit card. The outlet stores I would tend to avoid are those that almost exclusively sell merchandise manufactured for outlet malls: Brooks Brothers, J. Crew, Banana Republic, Calvin Klein, etc. By and large, the prices match the quality of the items being sold. 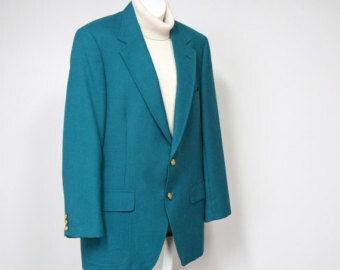 You may think that the teal blazer is kind of cool and it’s down from $722.98 to $89.99! How could you lose on this deal? Well, after it sits in your closet, unworn, for 2 years, the economics no longer support this particular purchase. Don’t buy something cheap, buy something because you know it will be part of your regular rotation, or you have a specific purpose in mind for it (wedding coming up, been looking for an orange tie, you can never have too many socks…). It’s cheap and you may not have otherwise been able to afford it (“I’ve always wanted an Hermes tie… it’s just too bad it’s pink, yellow and orange, with pictures of bunnies on it…”), but that doesn’t make it a wise purchase. I have a number of items I’ve bought at outlet malls that I wear/use all of the time (my go-to carry-on bag, a number of my favourite ties, some favourite shirts, one of my favourite suits) but I’ve also had a few losers haunt my closet after the fact. You really need to win much more than you lose, otherwise you are negating the savings you believe you are getting via outlet shopping. Only buy something at an outlet mall if you’d buy it in a regular store. More is not always better when it comes to a wardrobe; I find that I gravitate towards certain items time and time again, and the remainder simply take up precious storage space in my condo. Buy like a surgeon, not a drunken gambler. 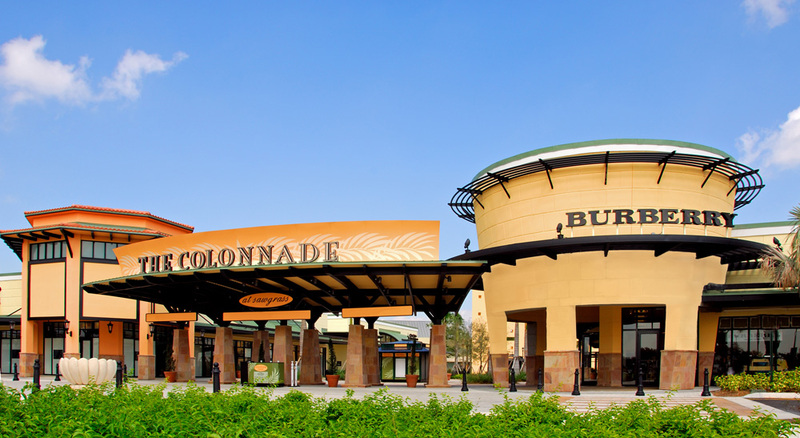 Outlet mall trips are like commando raids – you want to get in and get out as quickly as efficiently as possible. The decending hordes typically do not get there until mid-afternoon. Be smart and go first thing in the morning. You do not need to into every store and wander around. Only go into the ones that you actually may make a purchase in. Do you really need to wait in line to get into the Coach Store? (Hold on – you WANT to get into the Coach store….? Your problems are bigger than I thought….) Outlet malls are exhausting places; don’t blow your stamina at places that are a waste of your time. 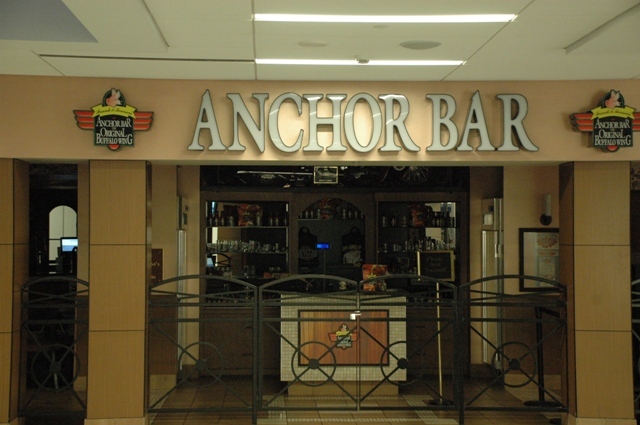 If you’re there with your wife, girlfriend or friends, and your attention is starting to wane, often times there are restaurants with bars to grab a bite to eat and a drink (often times at very cheap prices – they want you to stay as long as possible, not to go elsewhere to find something to eat) when you’ve just about had enough. 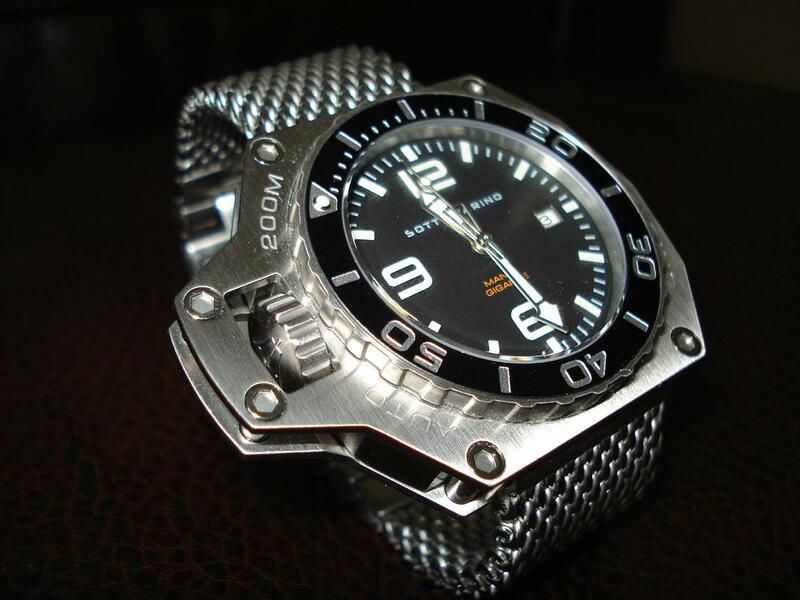 My love of watches is apparent from even a cursory read of this blog. I’m always looking to add to my roster of timepieces, especially where I feel I have a gap. 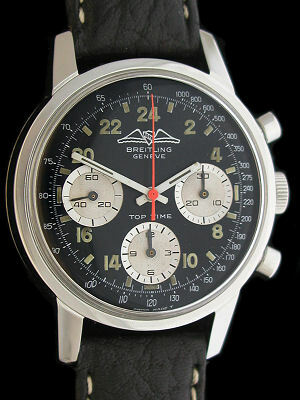 My current obession is a series of vintage watches from legendary Swiss watchmaker Breitling. For me, the mid-to-late ’60’s examples from the relatively short-lived ‘Top Time’ line of watches check all my personal watch aesthetic boxes: simple and elegant dial design (unlike the majority of modern Breitlings, whose dials I often find too busy); chronograph registers (earlier Top Times sport two chronograph registers, while later watches have three); a modern size (the ‘Jumbo’ size checks in at 39mm, which stands up well to modern watches and is only a single milimetre smaller than a Rolex Submariner); and finally, price. 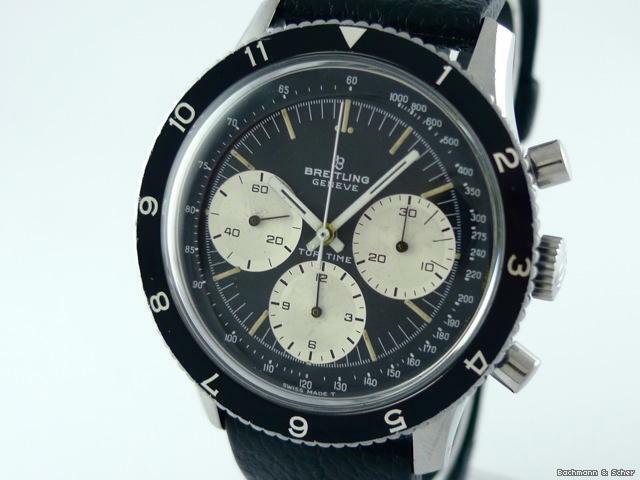 Many vintage Breitlings will set you back closer to $5,000 than $1,000. The Top Time hasn’t quite garnered the same amount of attention as the Navitimer or Chronomat lines (likely because these lines continue to exist to this day, whereas the Top Time died an untimely death) and I’ve seen examples sell for anywhere between $500 and $3500. The cheaper Top Times tend to have the ‘cushion’ style case (as pictured below, in middle), are older models (from the late ’50’s and early ’60’s, in the smaller 35mm size and made of stainless steel rather than white or yellow gold. 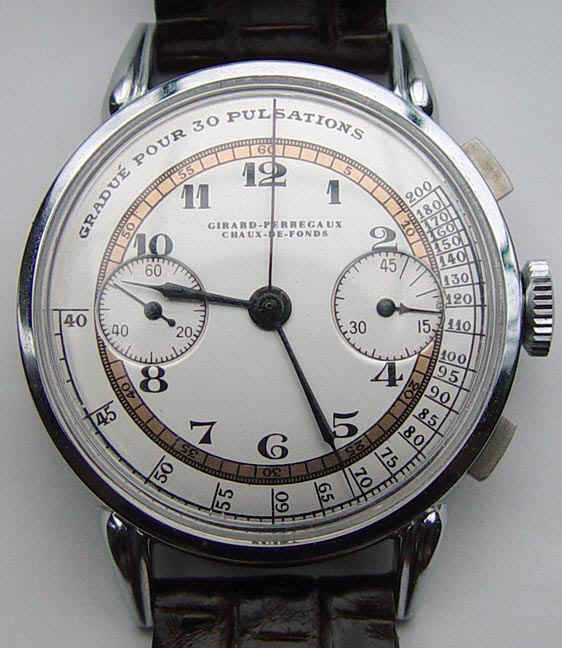 The most expensive typically hail from the ’70’s, such as those on the far left and far right below, often sporting three chronograph registers. 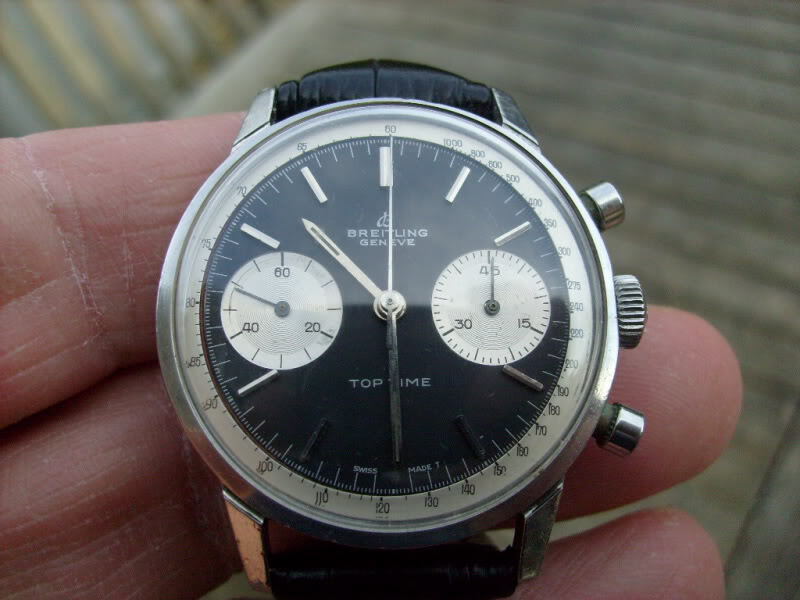 For me, a 39mm, two-register, mid-60’s model with a “panda” dial (black with white chronograph registers) exactly like the one pictured above, keeps me up at night (usually trolling the classifieds section of watch sites trying to find one). 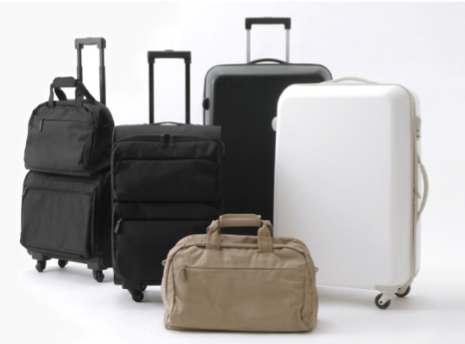 With the wide variety of colours, case shapes, sizes and materials, the above may not be your first choice. 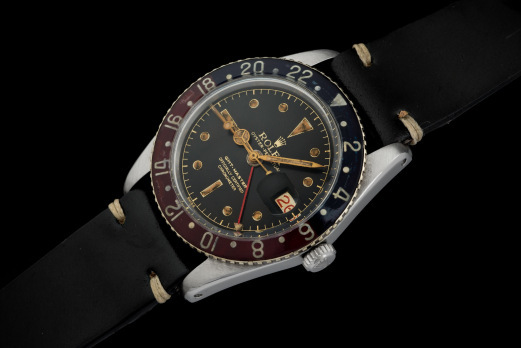 Which is ok, because there’s something for everyone in the Top Time line (and in the vintage watch market in general). Click on the pictures below to make them larger. To me, this is what loving watches is all about: the thrill of the chase. I’m sure other watch-loving readers can relate, and have their own “grail” watch in mind right now. Most importantly, if anyone knows the whereabouts of a watch like the one pictured above, please send me an email at: oneguysstyle@gmail.com. 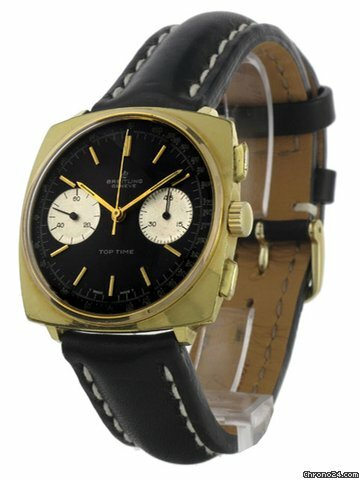 To sweeten the pot, if anyone can find such a watch (and I end up purchasing it), than I’ll hook you up with a $25 gift certificate to eBay, a Ralph Lauren Purple Label tie from my personal collection, and my eternal gratitude. Thanks for reading and please feel free to add comments below, email me at oneguysstyle@gmail.com, or follow me on Twitter, @oneguysstyle. 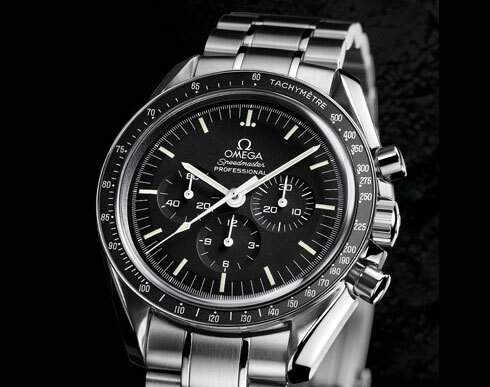 For my earlier comprehensive post on watches, click here. For my recent post about NATO watch straps, click here. 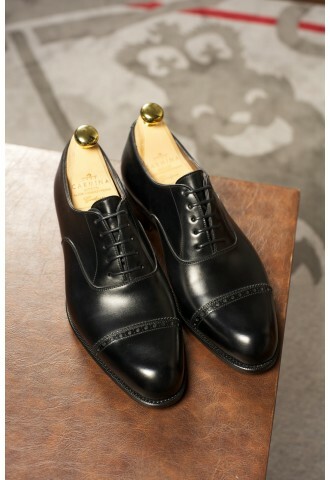 I would estimate that for 99% of readers of this post, a pair of Carmina laceups would be the best shoes in your closet. I would say that they’re the best shoes in mine. I would further estimate that 99% of the readers of this post have never even heard of Carmina. 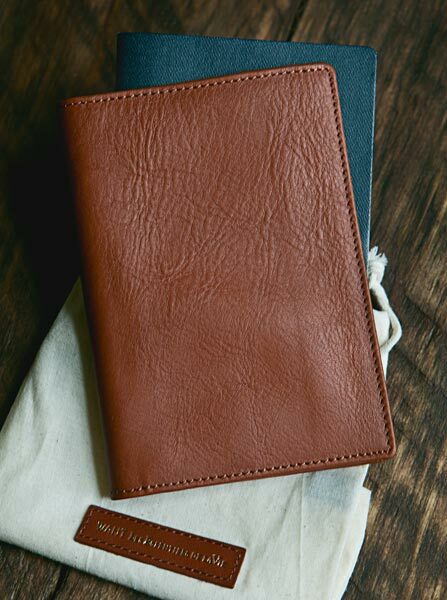 That’s partly the point of this series of posts – bringing to light little known makers of the highest quality goods. Whereas, in my initial ‘What One Guy’s Buying on eBay’ post, I talked about Martin Dingman (a cursory search of eBay will turn up over 100 listings), this post focuses on a much rarer beast. eBay can often go for a month with only one Carmina shoe listing in one size; yet, when your number is called (i.e. your size becomes available at a good price), I can’t recommend more that you pounce on them. For example, there’s a pair of Carmina shoes on eBay at this very moment, in size 7.5US that are amongst the most elegant shoes I’ve encountered (the listing can be found here). Judge for yourself, they’re the same shoes as are pictured above, except in brown. At the time of this post, the current bid is $102 (no reserve), with a Buy It Now price of $250. 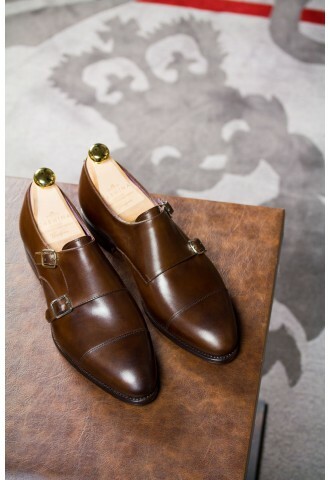 While $250 may seem like a bit of an investment, keep in mind that ‘The Armoury’ men’s store in Hong Kong, one of the only places online to purchase Carmina shoes, has these precise shoes for sale at a cost of HK$4,500 (or, nearly $600 Canadian), and these shoes will last a lifetime with proper care. 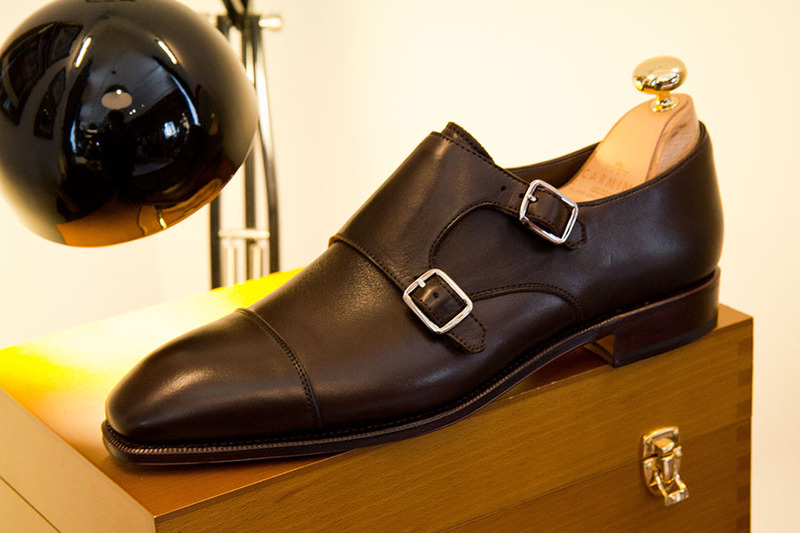 Sometimes Carmina shoes are listed at higher prices – but quite regularly a diamond in the rough will appear. Shoes, like watches, are one of society’s (and, more importantly, women’s) clearest identifiers of social status and taste. So, when the opportunity to thrust your shoe wardrobe into the upper reaches of the social strata for $200 appears, DON’T HESITATE – JUMP ON THE CHANCE! Also, I’d be remiss not to point you to The Armoury’s online store and website at thearmoury.com. If you can’t quite track down the pair of Carminas you’re looking for on eBay, than this Hong Kong store is likely your best bet. Beyond that, their website is well worth a perusal as they sell some of the finest men’s clothing and accessories in the world (Drakes ties, Fox Umbrellas, John Smedley knitwear, to go along with stunning tailored clothes) and their Tumblr site may just be my favourite place online right now for men’s style photography: thearmoury.tumblr.com. Thanks for reading and please feel free to add comments below, email me at oneguysstyle@gmail.com, or follow me on Twitter, @oneguysstyle. For the first installment of the ‘What One Guy’s Buying on eBay’ series, please check out my post on Martin Dingman belts here.